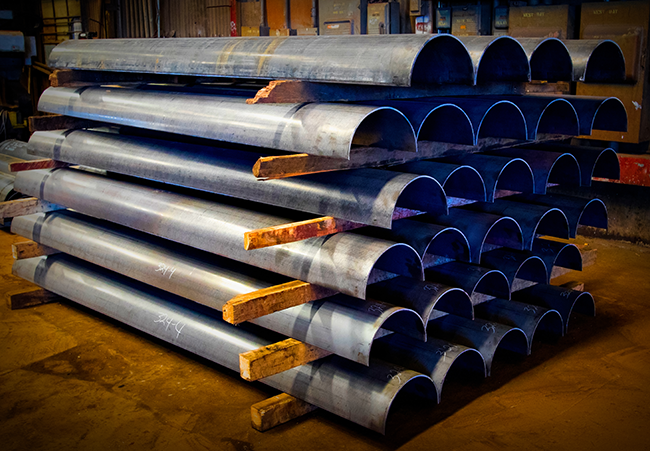 Wagner Plate Works has been manufacturing pipeline repair sleeves for the oil and gas industry for decades. Whatever your needs, we have a repair solution, including Half Sole, Girth Welds, and Pumpkin Style sleeves. 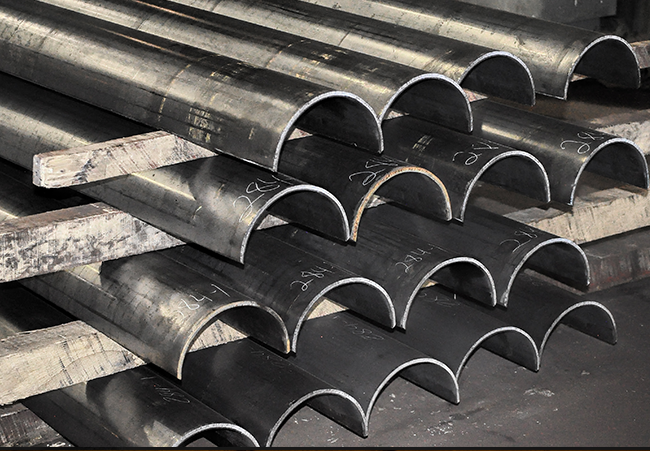 All of our sleeves are manufactured from quality, carbon steel material, all of which are up to ASTM/ASME specifications. We keep copies of material test reports on file and verify heat numbers prior to producing all parts. We create our Half Sole sleeves by rolling or die forming, which means they NEVER encounter heat treating. This makes our craftsmanship the best in the world. If required, backing strips can be supplied on all Half Sole. A milling process is utilized to create the required space on the Half Sole to install the backing strips and can be performed as needed. Mill test reports will be provided on all materials. Stock plate is not available with a maximum hardness guarantee, but independent testing may be performed to check the hardness. Additional independent tests available include destructive, magnetic particle, liquid penetrate, ultrasonic, and radiographic testing. The Half Soles are visually inspected for defects prior to shipment. We thoroughly measure and verify all dimensions. Parts that don’t meet our strict standards will not be shipped. Every piece of Half Sole is clearly marked with size, steel plate grade, wall thickness, and job/purchase order numbers and/or special tagging information. Milled grooves for backing strips are available. If a custom Milled Groove size is required, we can accommodate those needs. Steel Repair Sleeves are an ideal option for maintenance needs as they allow repairs to be made without shutting down the pipeline. The Steel Repair Sleeves are sold in the Half Sole configuration and can be used for internal and external corrosion, dents, grooves, arc burns, cracks, defective girth welds, laminations and leaks. Back-up strips are not included with Standard Girth Weld Steel Repair Sleeves but are available as special order.